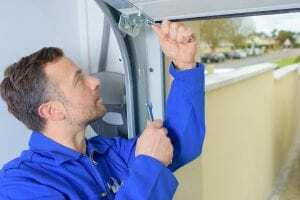 Your garage door – old Mr. Reliable – has become unreliable. Sometimes he responds immediately; sometimes he ignores you. Yes, you’ve grown attached to him, but he appears to be on his way out. Maybe it’s best to let him go. After all, you use your garage just about every day, and you need a door that’s strong and dependable, a door that protects your home no matter how angry Mother Nature gets in Nicholasville. What you need is a durable garage door from 31-W Insulation. For more than 40 years, our garage door installers have come to the rescue of homeowners like you, and we will gladly help you say goodbye to old Mr. Reliable. Our doors are made by Amarr®, one of the top manufacturers in the industry. Constructed from heavy-duty steel or long-lasting aluminum, these doors are easy to maintain and feature a high wind-load design that will protect your home and belongings in the harshest weather. For extra safety, they come standard with SafeGuard pinch protection and tamper-resistant bottom brackets. What’s more, they are available with a bevy of customization options, allowing you to design a door that complements your home’s architectural style and suits your personal tastes. Are you ready to enjoy these benefits? Contact 31-W Insulation today. We will happily schedule a consultation at your Nicholasville home at a time that’s most convenient for you.